If you are talking about natural beauty and health tips, then try not to go for the cosmetics and artificial treatments. To enhance your natural beauty you need to use natural products and treatments. So, get a glowing skin and healthy body naturally! Natural beauty caters to your body care, skin care, hair care, eye care, nail care and also provide solutions to many skin disorders in the natural way. Your natural beauty would not only reflect a beautiful personality, but it also shows your healthy body. Daily use of natural products softens your skin and helps you get a pair of sparkling eyes. Natural hair products are also available to make your hair soft and silky. Today there are a range of beauty products meant for both men and women. These make your skin clearer and wrinkles free. Natural products do not contain any harmful chemicals and solves every problem of your skin. Natural beauty can be regained by using the natural home remedies. 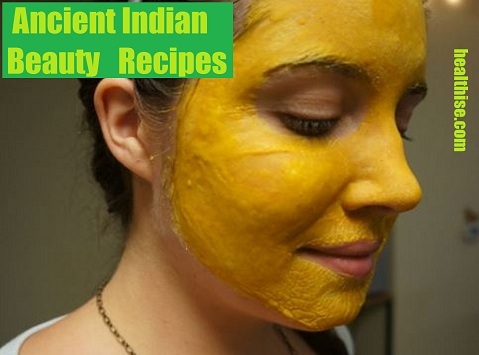 You can make use of the common available vegetables, herbs and fruits to maintain healthy skin and cure skin problems. You can make a juice, extract powder or paste out of these products and apply it to your skin. These include simple methods without any side effects or chemicals. You can use natural things like herbs, petals, roots, fruits, leaves and vegetables for the beauty preparations. Pampering is a beautiful and rewarding experience. And this experience can be enhanced by doing it at your cozy homes. All-natural beauty products can be prepared in the comfort of your own home. With these homemade beauty tips, you can look forward to enjoy your natural beauty for sure. Now we move forward to some quick natural beauty recipes. The best natural beauty recipes are those that contain only the very best natural ingredients which deliver the most benefits to your skin. The only way to guarantee your beauty products contain 100% natural ingredients is to make them yourself and there are many natural beauty recipes you can make at home. You do not have to pay inflated commercial prices to nourish and pamper your skin. In fact, quite often natural solutions are a lot healthier and far more effective than the chemical-laden beauty products you find on sale in the high street. 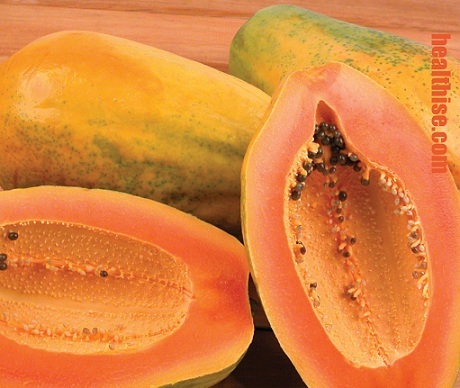 This papaya enzyme facial mask is one of the more popular natural beauty recipes. 1/2 cup mashed papaya, 1 whipped egg white, and 1 teaspoon of honey. For additional cooling or if you have sensitive skin, add a tablespoon of plain yogurt to your mixture. Mix all of your ingredients together in a large bowl. Make sure you wash your face before applying the facial mask mixture. Leave the mask on your face for approximately five to eight minutes; this will give the papaya enzymes time to exfoliate your skin. Rinse off with warm water first, then with cooler water, patting dry when done. This herbal vinegar rinse will restore your hair's natural pH balance, clean off built up dirt and hair products, and reduce oil in oily hair. 2 sprigs of rosemary, 2 sprigs of lavender, and 2 cups of water. One or two tablespoons of either apple cider vinegar or white vinegar. Place the 2 sprigs of rosemary and the 2 sprigs of lavender in 2 cups of water in a clear glass jar. Let the jar sit out in the sun to steep for between two and four hours, then remove the herbs. Add one or two tablespoons of either apple cider vinegar or white vinegar to your water solution, then use the same way you would use shampoo. Herbal bath salts are another of the top natural beauty recipes you can make yourself at home. All you need is a cup of sea salt and a handful of whatever herbs you have on hand, such as lavender, rosemary, spearmint, or peppermint. Grind the herbs with a coffee grinder until they become a fine powder. Mix with the sea salt. Add to your next bath for a relaxing change of pace. You can make various natural beauty recipes similar to this refreshing flower-based foot soak. For this one, you again need sea salt, along with some fresh sliced citrus of your choice (limes, lemons, oranges, etc.) and a handful of flower petals picked fresh from your garden. Fill a small basin with lukewarm water and add the salt, flower petals, and fruit slices. Soak your feet in the mixture for ten minutes. Then rinse and pat dry with a soft towel. This strawberry manicure mask is a great way to pamper your hands naturally. 3-5 ripe strawberries, one tablespoon of sugar and light oil of your choice. Mash 3-5 ripe strawberries, drain off the juice, and combine with one tablespoon of sugar and a little bit of the light oil of your choice. Apply the resulting mixture to your hands by using a circular motion. This will condition and exfoliate the skin, leaving it soft and smooth. During watermelon season, this pedicure polish is good for your feet and gives your home a nice aroma of summer. Apply the mixture by working it in with your hands in a circular motion. Use a tissue to remove, then rinse and pat dry to enjoy the effects. Do not make larger quantities than you can use. If you do make more than you need, store the excess in a refrigerator and use within 48 hours, because there are no preservatives in these homemade natural beauty recipes. Herbal remedies and medicines are being looked at all of the time as alternatives for chemical medications that we take. These natural remedies are made without the use of chemicals and are generally organic as well. Complete lists of ingredients by law are shown on the labels for us to see exactly what is going into them and how much of the formula is natural and organic. A skin rash can be caused by many different things ranging from allergies and stress to an illness of sorts. In my case doctors could not cure it. Ayurvedic herbals helped me a lot. Yes it work wonders. Natural remedies along with a healthy diet and lifestyle are a good precursor of long lasting life. There are several salient points to consider on choosing the right remedy for you and your body that will be your shield against in-vogue health supplements and vitamins. The use of natural remedies for health and other ailments is gaining popularity rapidly for various reasons. Natural remedies are significantly less expensive than their prescription counterparts, and almost always have notably fewer detrimental side effects. Studies are not 100% conclusive but much evidence shows that natural remedies overall are healthier for you. I learned from my room mate about magical therapy of turmeric since then i use it regularly. Herbal medicine is my bread and butter and from my experience can say that it is better than any other conventional medicines. I m big big fan of ayurveda and Indian herbs. Saved lots of money from spending on expensive allergic medicines. I m better off with home remedies.